The third round of the season is here, and it’s set to be an interesting one! Obviously, there’s been the most recent talk of the changes in CoG and in particular for Ford with their new Mustang. Which means that they have to carry a certain amount of weight in their car to compensate and even up the competition. There are a lot of opinions on this; and to be honest, I don’t necessarily think that this is the answer or change that the category is looking for. So, it’ll be interesting to see how it goes! 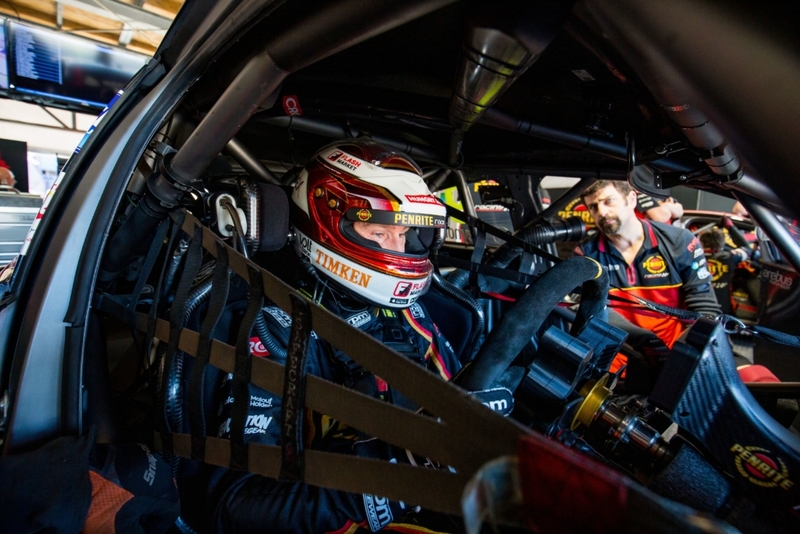 Last year’s round at Symmons Plains was ok for us; it wasn’t the best round nor the worst. I qualified 6th and 8th and ended up P4 and P8 in the races. I do think it’ll be tough again this year as the Mustangs are fast; but I’m hoping we can find some speed and give it good red-hot crack. I don’t mind the track. It is a pretty simple layout, with three corners (six on paper) as well as obviously the hairpin and takes approximately 0.50 seconds to get around there! It’s pretty short, which means that if you make a mistake, you generally lose a lot of positions. This round will also host a knock out three tier qualifying system, which is really tricky to manage your tyres and yourself for. I don’t mind this layout as it mixes up the field a bit and makes for some good racing. There is also a new parc ferme rule being brought in; where after qualifying the cars go into parc ferme and we’re not allowed to do any race changes whatsoever to go into the race. This weekend, we will also see the co-drivers cut some laps which will be good to see as well. So, we’re set for a busy weekend ahead! Can’t wait to get out there. I hit the track for practice 1 on Friday 5th April, 11:50am.